A member of the coast Salish band, Chawathl, Gilbert Pat is an extremely gifted and self taught First Nation’s jeweller from British Columbia who has been carving beautiful works in gold, silver and copper for the past 30 years. Pat studied Kwakiutl design, guided by many designers of his wife’s family and was shown how to use the tools of the trade by Lloyd Wadhams, a Kwakwaka‘wakw artist. Pat has since passed on his knowledge to his two sons, Jeff and Jason who are also silversmiths. The Orca pin pictured here illustrates Pat’s unique and exacting style, and intricate workmanship. Today, Pat’s work can be found all over Europe and the Far East. 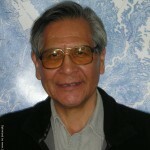 Bill Henderson of the Wei Wai Kum Band of Campbell River is one of the most successful master carvers of his time, and has established an international reputation with collectors of First Nation’s art. He has been commissioned to carve several traditional totem poles to commemorate important Kwakwaka’wakw people and events, and creates dancing masks, paddles, bowls and plaques. In 1983, he presented the town of Ishikari, Japan with one of his totem poles as a gift from its sister city, Campbell River. Henderson began carving with his father, the late Sam Henderson, when he was seven years old. Sam Henderson was not only an eminent Nak’waxda’xw carver, but also a devoted protector of ancient cultural traditions. May Quocksistala Henderson, Bill’s mother, was a high ranking woman of the Campbell River Band. 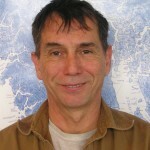 He also credits the great Kwakwaka’wakw master carvers Mungo Martin and Henry Hunt as major influences on his own work. He distinctively carries on the Henderson legacy and passes on his knowledge and skills graciously to many of his nephews. Henderson says that “the woods and waters of the [Kwakwaka’wakw] homeland are rich in animals and I have worked to capture the natural and supernatural figures in many of my masks”. Pictured here is his Owl Mask, and the vibrant colours and strong lines speak clearly of Henderson’s skill and interpretation. The Shop at the Campbell River Museum specializes in First Nations Art and carvings like the work of Bill Henderson. Come in for a visit! Bourque is an artist who has always been interested in woodworking, first as a carpenter then doing joinery (furniture making). He has pursued wood carving as an art form since 1994. 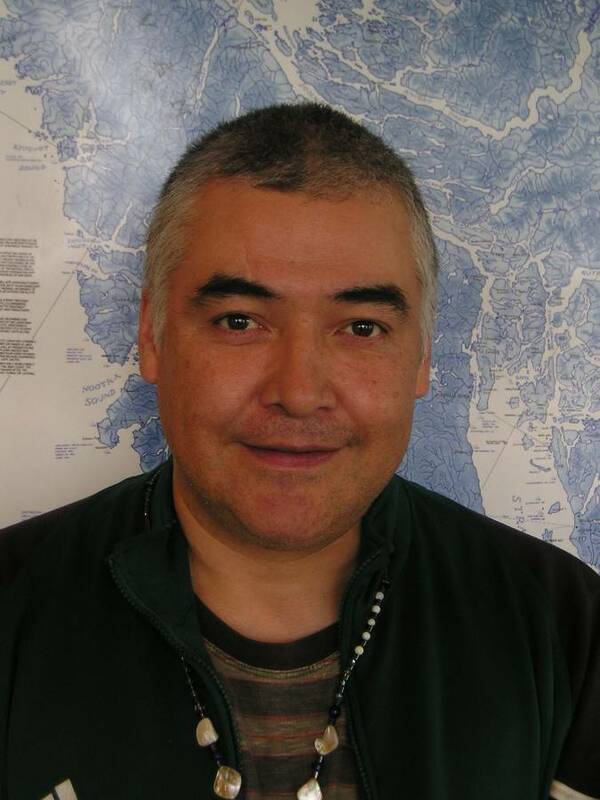 Bourque was born in Saskatchewan but has resided in Campbell River since 1974. 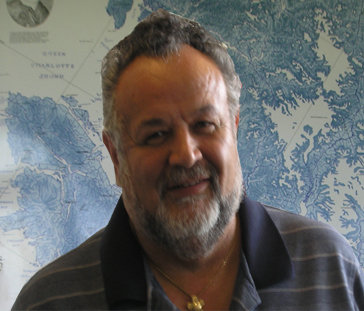 His Canadian ancestry reaches back to the 1600s and Acadian New Brunswick, and he is related to the Swampy Cree of western Hudson’s Bay. Featured here are Bourque’s hand carved wood feathers. Distinctive and beautiful, they are so thin you can see light through them. Each one represents one size of an eagle’s feather (if you put them all together, you would have an entire wing) and are made from yellow Cypress wood left over from the project to reconstruct the BCP 45 boat featured at the Maritime Heritage Museum. These and other one-of-a-kind items make the Museum Shop a wonderful place in which to find that unique gift. Come visit us soon! 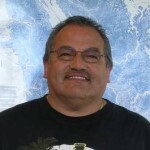 Mark Henderson is a well known First Nations artist and member of the Campbell River Band. He began painting traditional Kwakuitl designs at age 11 and received encouragement from his father, Sam Henderson, a famous Kwakiutl carver. 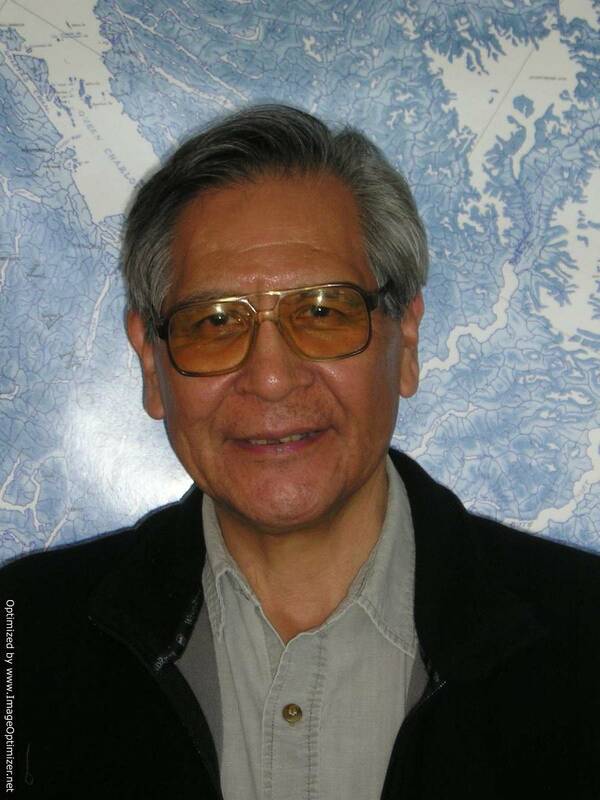 Henderson says that both of his parents (his mother was the late May Quocksister Henderson, the eldest daughter of a high-ranking family of the Wewaikum Band) were a major influence in his early artistic development, and wanted him to be familiar with his cultural background, teaching him the legends, songs and dances that have been part of his family heritage for many generations. He was also influenced by other artisits like Henry Speck, Mungo Martin and Willie Seaweed. 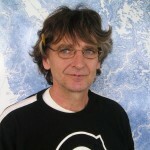 Henderson believes that it is important to maintain traditional elements and colour in his artwork, while experimenting and developing his own creative ideas. 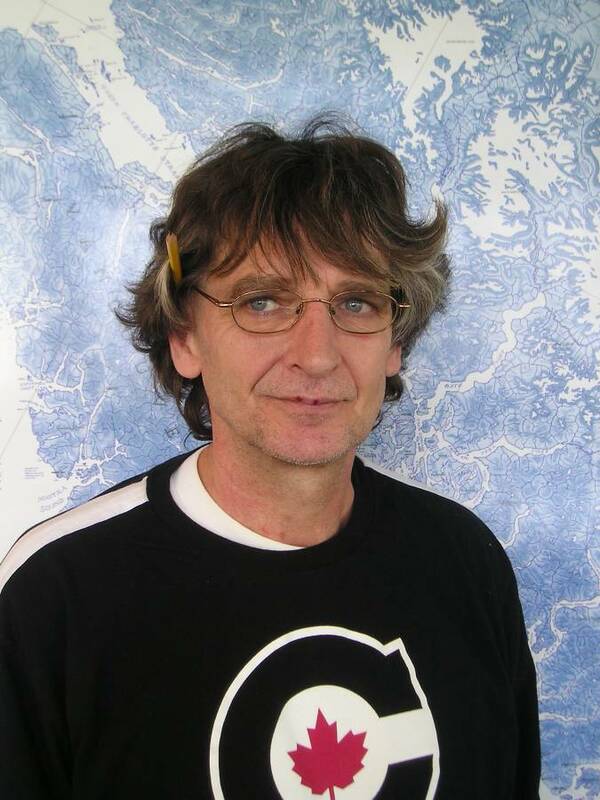 He prefers to work in acrylic paint on paper and produces limited edition silkscreen prints from the originals. Mark Henderson’s exceptional and beautiful original pieces and prints can be found in the Shop of the Campbell River Museum, along with other First Nations artwork including carving, basketry and jewellery. For information call: 250-287-3103. Jorge Lewis is a First Na tions artist from the Snuneymuxw nation of Nanaimo on Vancouver Island, who specializes in drum making. Jorge is a descendent of powerful Shamans, mask dancers and chiefs. He was taught the craft of drum making by Bill Garton, a Lakota sundancer, pipe carrier and spiritual seeker. Drums are used in sweat lodges, singing circles, or to accompany a singer. Jorge believes that drumming is a tool which assists us in getting centred spiritually, and it connects us with the inner self and with all that is around us. His love for life is evident in his work, and he lives and breathes his spiritual culture through his art work. 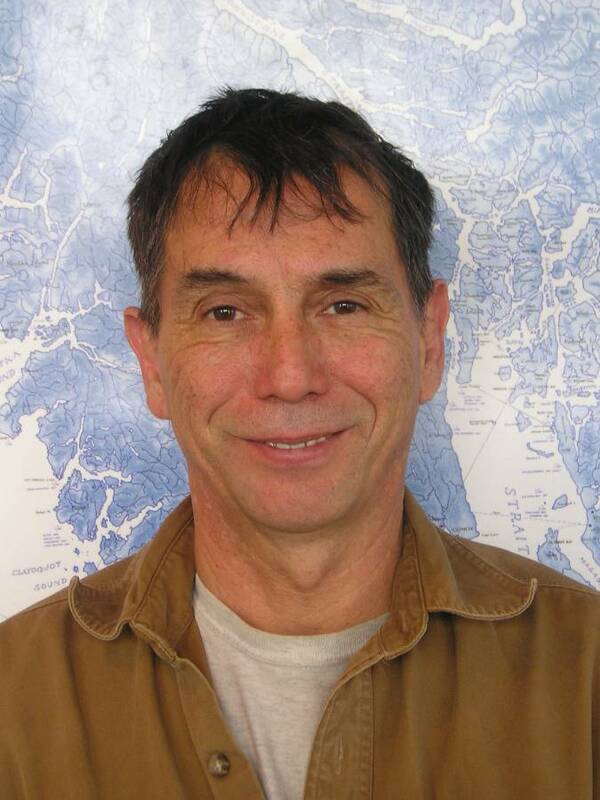 He has resided in Campbell River for the past 34 years. The Hummingbird drum pictured here is available in the Museum Shop, along with other examples of First Nations artwork. Call the Museum for more information 250-287-3103. Wayne Bell is a First Nations artist who creates woven objects that are both functional and attractive. He produces Cedar Baskets, Woven Cedar Headdresses, Woven Cedar Regalia (rope, capes and other costume items) and carves Cedar Masks. 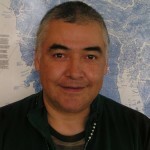 Wayne’s tribal group is the Mamalilikulla of Village Island, of which he is the Hereditary Chief, and he was born in Vancouver, British Columbia. He was taught the art of Cedar Weaving by his grandmother Katie Ferry, and his grandfather taught him how to carve fish clubs. Wayne travels extensively teaching the art of Cedar Weaving, and has been teaching in the school district for the past 14 years. Articles about Wayne and his work have appeared in The Campbell River Mirror; he has displayed his work at the Campbell River Museum as part of a basketry exhibit and has proudly participated in the P.N.E. Parade where he wore his newly carved Eagle Mask. 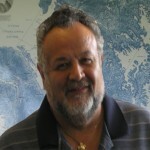 He currently resides in Campbell River. Wayne’s basketry and other First Nations art can be found in the Museum Shop. Featured here is one of his clam baskets, made from red cedar strips. For further information call 250-287-3103.